When the Quirky Berkeley fellow traveler OH first suggested that I occasionally visit Berkeley businesses that have been around for at least 50 years, I thought it was a good idea. My opinion has changed. You guessed it! 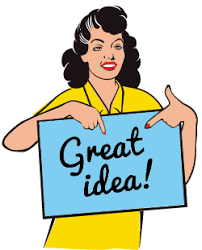 I now think it was a GREAT idea and a powerful reminder to trust your crazy ideas. And so today we will visit another store that has been in business for at least 50 years. 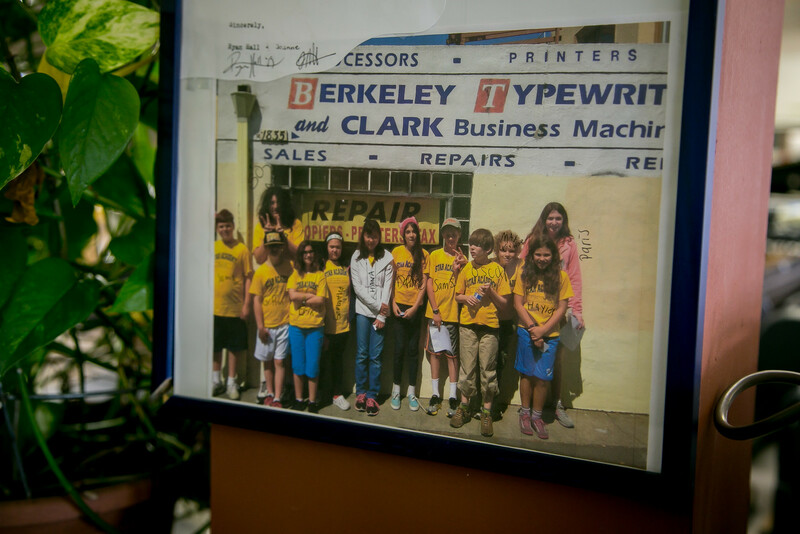 Berkeley Typewriter opened in 1936. The longevity of the business in and of itself is remarkable. The fact that the business is selling and repairing an anachronistic technology advances merely remarkable to truly remarkable. 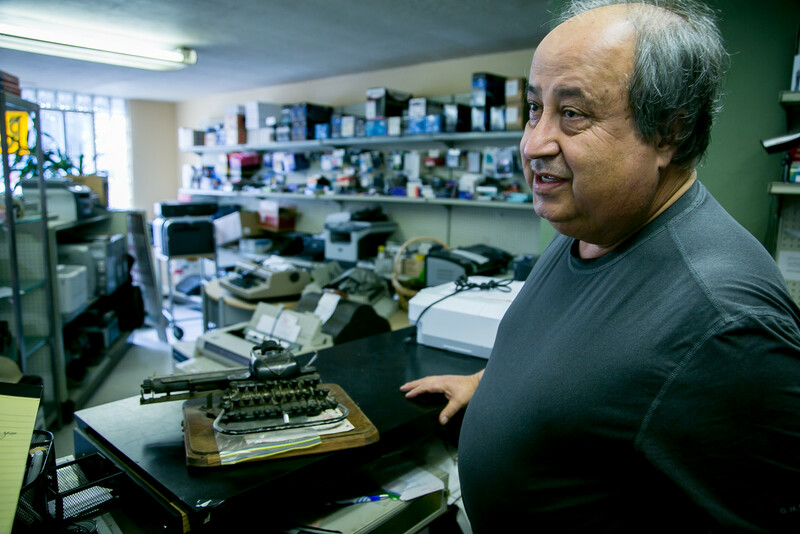 Joe Banuelos is the third owner of Berkeley typewriter. 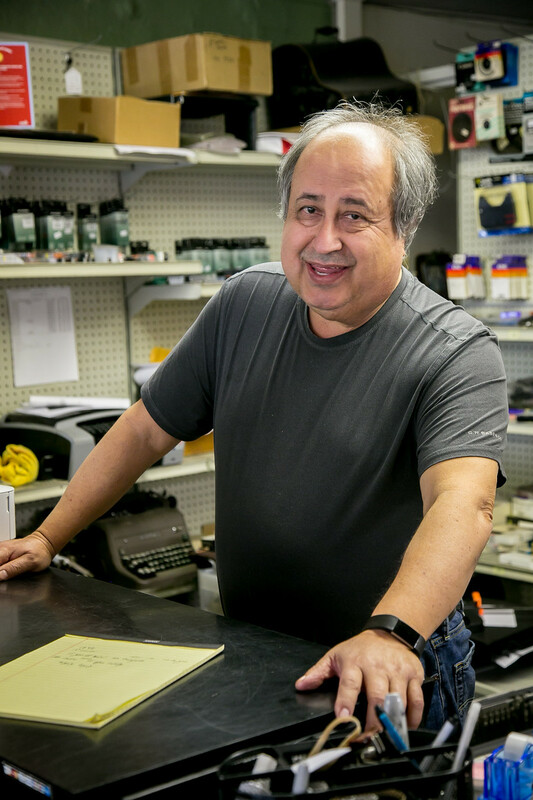 He bought the business in 2000 from Tom Wiard and Joe LaPria. I wish I could tell you who they bought it from, but I can’t. We will just call that person Original Owner. 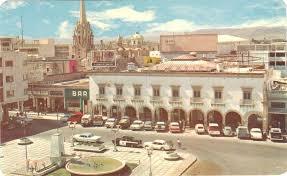 Banuelos was born and raised in León, Mexico, the most populous city in the state of Guanajuato. 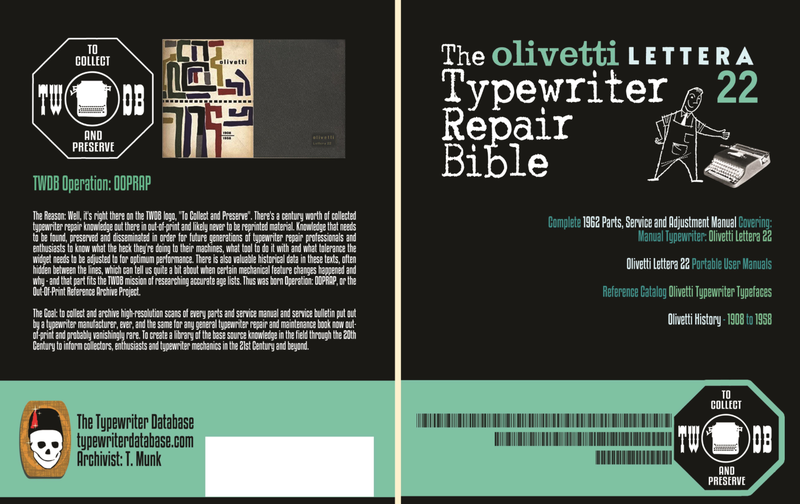 He went to work in a typewriter shop when he was 15. And that became his life. Karma, fate, or perhaps the Yiddish bashert or beshert? Bashert is often used to refer to one’s divinely foreordained spouse or soulmate, who is called one’s (yes – I checked – unlike “its” or “hers,” the possessive pronoun “one’s” requires an apostrophe) basherte (female) or basherter (male). ANYWAY, the thing is, what I really mean – back to Joe Banuelos who all these years later is doing what he first did. 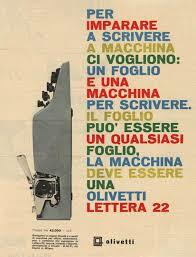 In 1970 he emigrated to Los Angeles and continued his work with typewriters and office equipment. 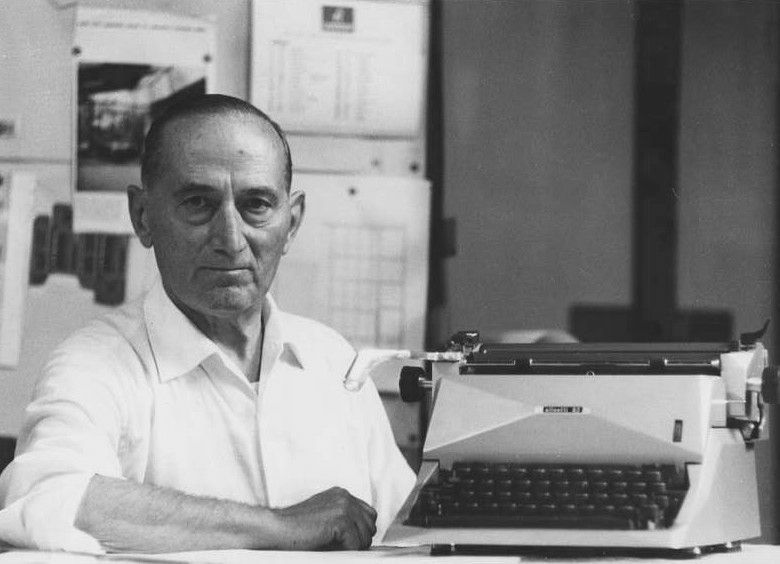 In 1980 he moved to Oakland where he owned J and J Office Equipment. 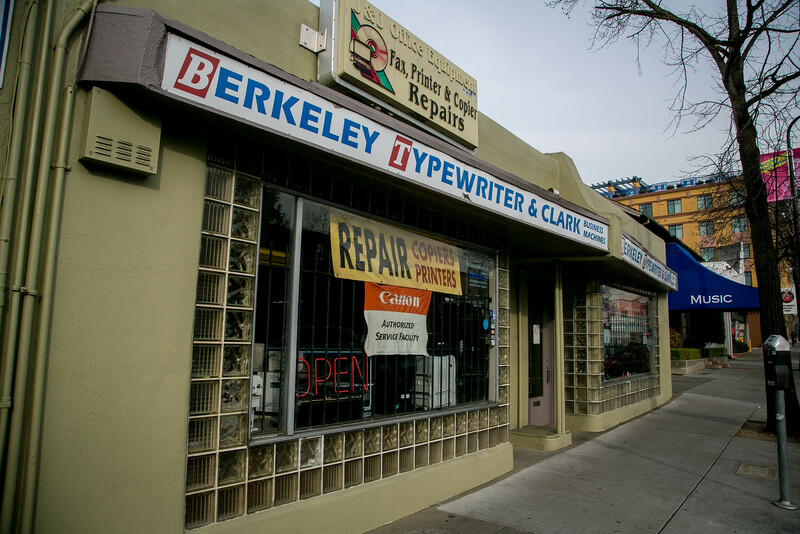 As we already know, 20 years later he bought Berkeley Typewriter. 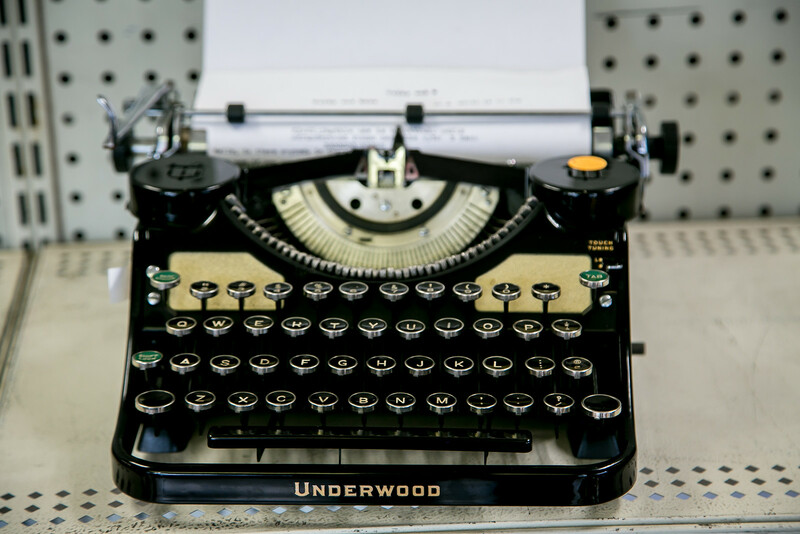 Berkeley Typewriter is full of old, vintage, antique, beautiful typewriters. 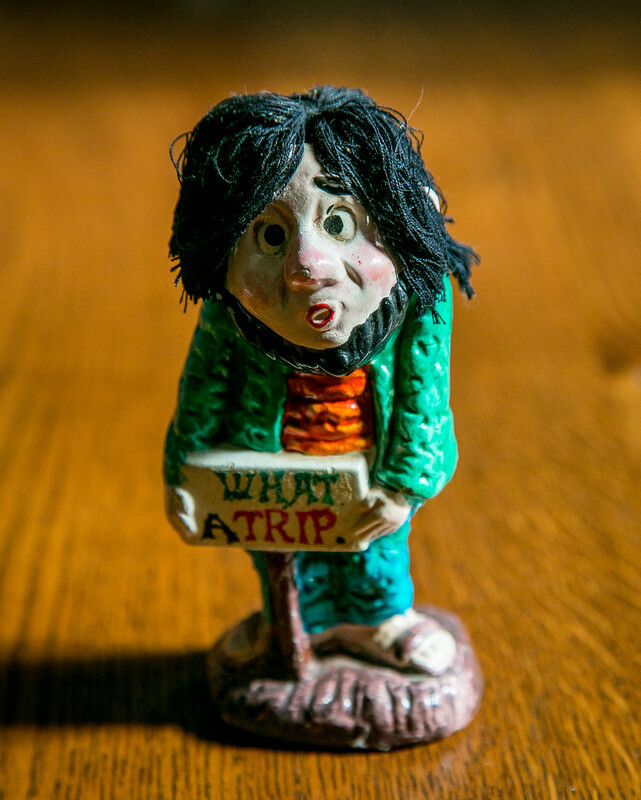 For us of a certain age, the store is a stroll down memory lane. 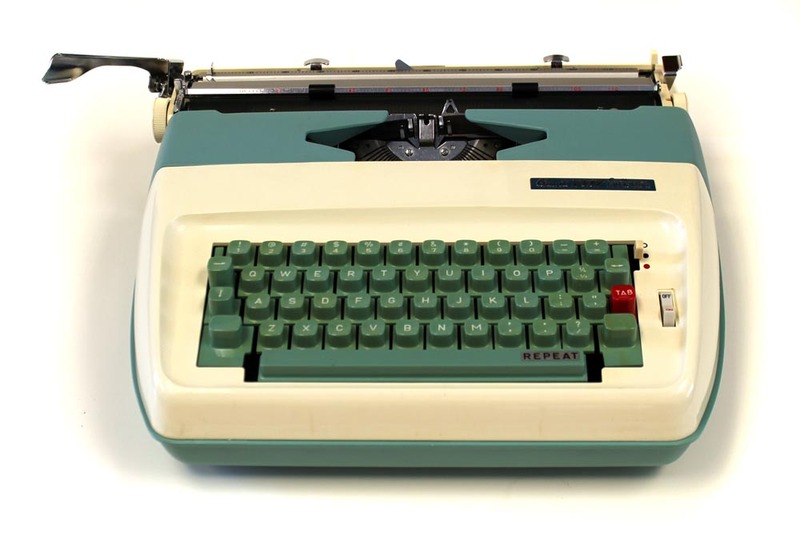 For me it was the memory of my first manual typewriter that I schlepped to school on the Pennsylvania Railroad every Friday in sixth grade (we called it A Form) to learn touch typewriting from Mr. Davenport, and it was the funky early portable electric that I took that Bar on in 1976, and it was the IBM Executive with proportional letter spacing that my father had in his home office, and it was the IBM Selectric that I saw for the first time in the summer of 1968 working for the United Farm Workers in Delano. 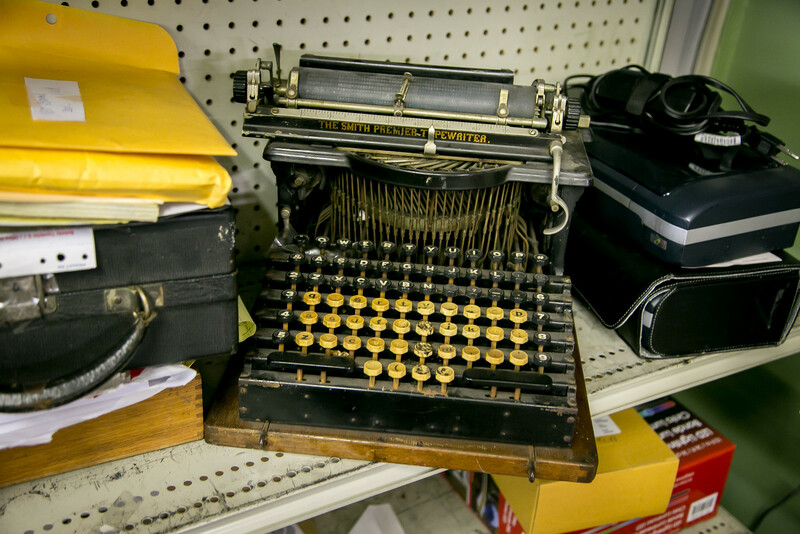 For school kids, a visit to the store is a peek at a technology ancienne. 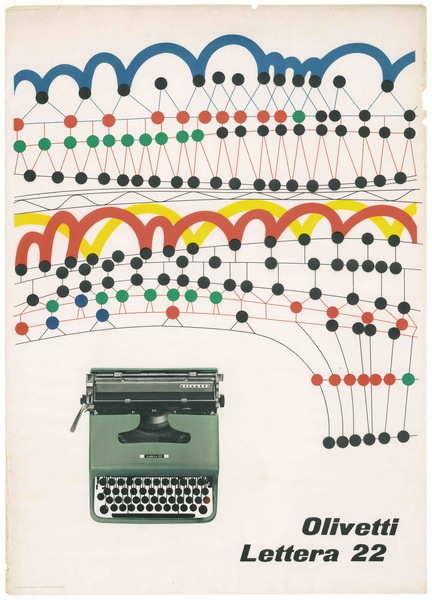 The joy in typewriters for Banuelos is in how they function and how they look. 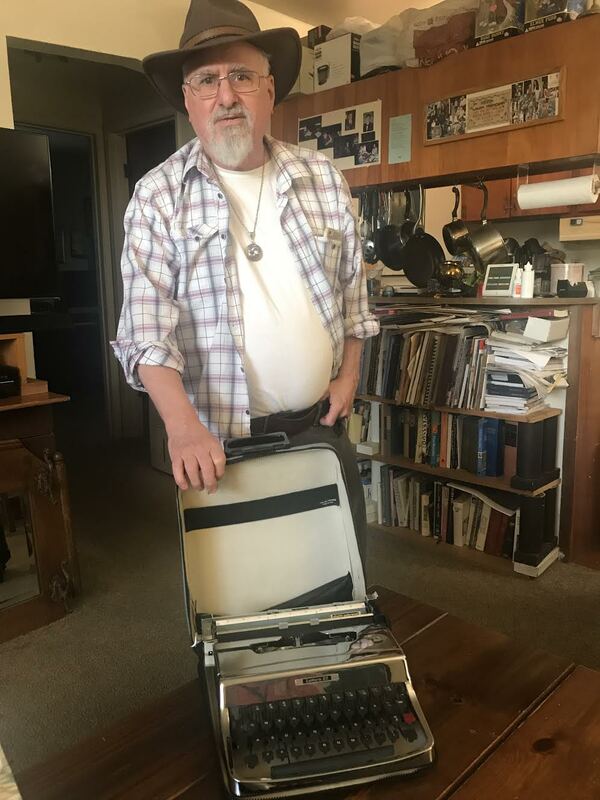 This week I visited Ken Stein in his home. 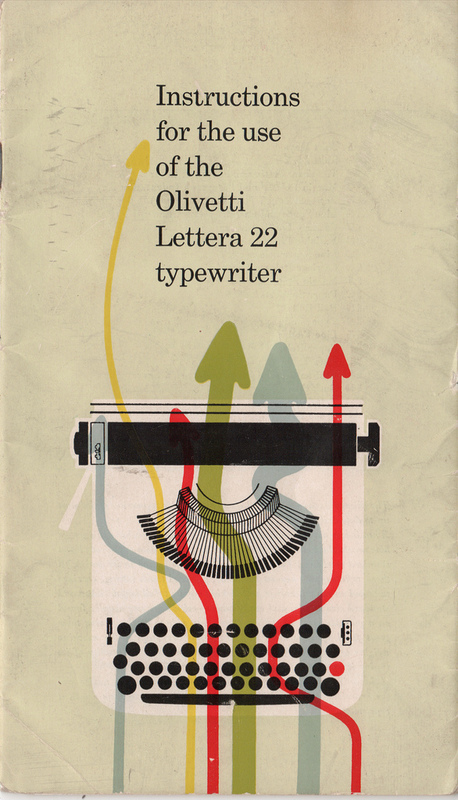 I told him about this post, and he in turn told me about his Olivetti Lettera 22 that he bought from Banuelos a few years ago. 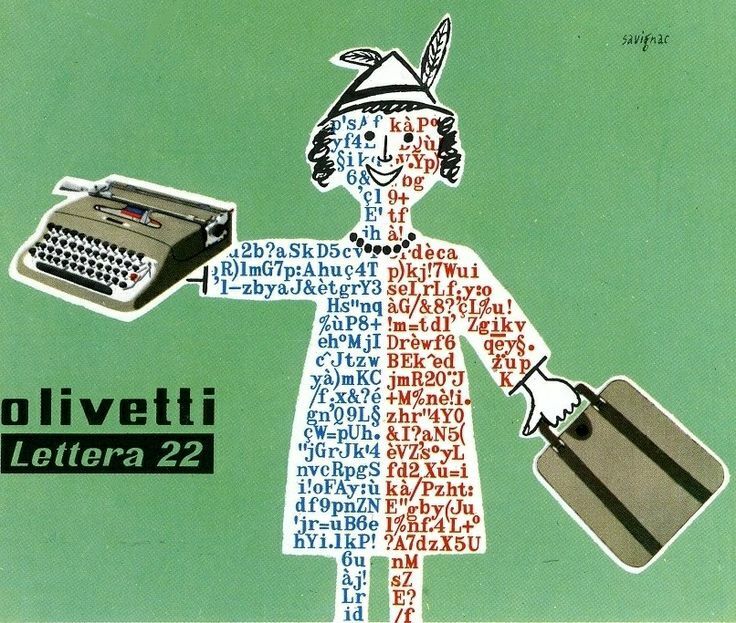 I confess: I then went down the rabbit hole of Lettera 22 advertisements. Look at the design!!!! Who can blame me? I tried to stop myself. I could not. I repeat: I tried to stop myself. I really did. But – dig that design! 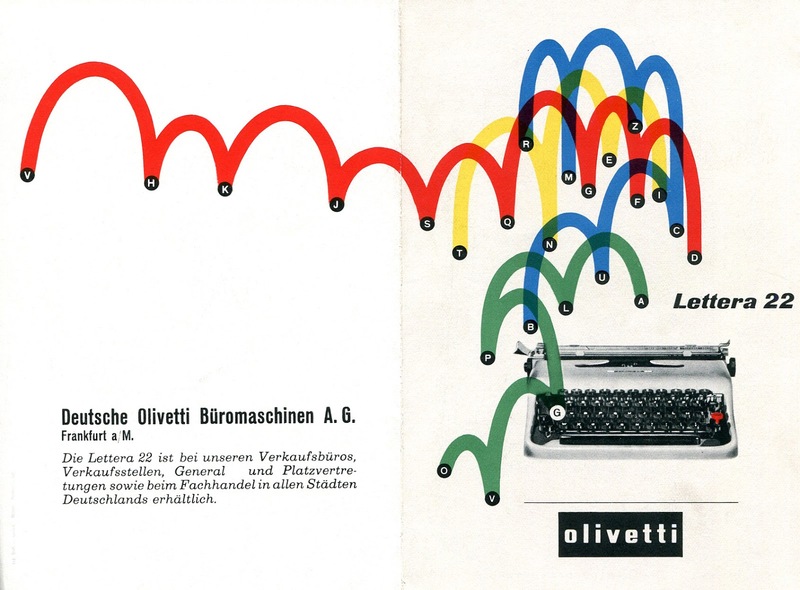 Oh for the golden age when design really mattered. For this and all the sins that I have committed during my life, I am deeply sorry. As partial penance, I chopped a big old digression that was to have been early in this post about fate. 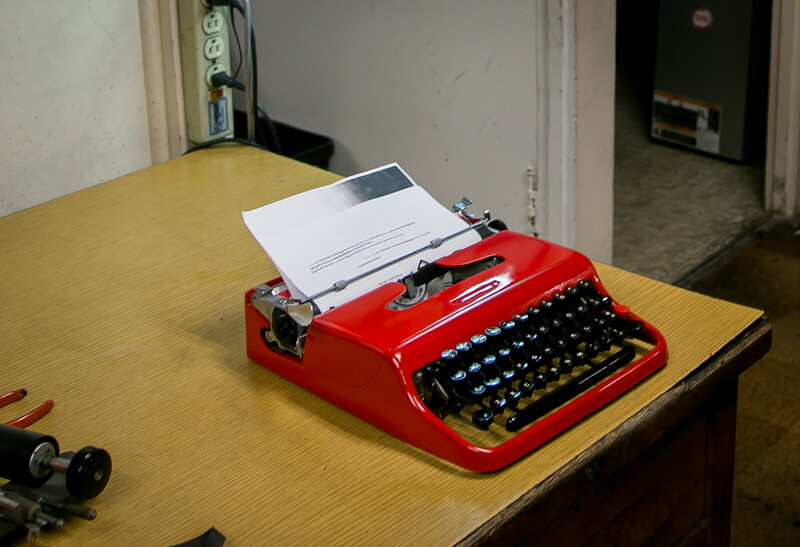 Banuelos sent the typewriter to Mexico for chrome plating. I don’t know if he used hexavalent chromium or trivalent chromium. Banuelos does his powder coating in Oakland – I think at Leons. That is where those in the know go. But for chroming, only Mexico would do. I didn’t ask Banuelos if he ever came across a machine that he couldn’t fix, but I think I know what the answer would be. As Marcel Marceau said in Silent Movie in 1976 – no. 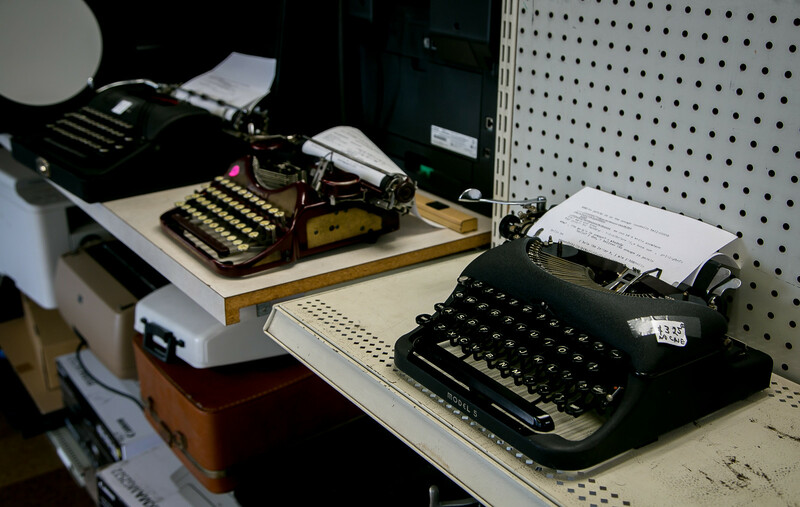 Banuelos estimates that 75% of his business is typewriters, the remainder in repairing printers. 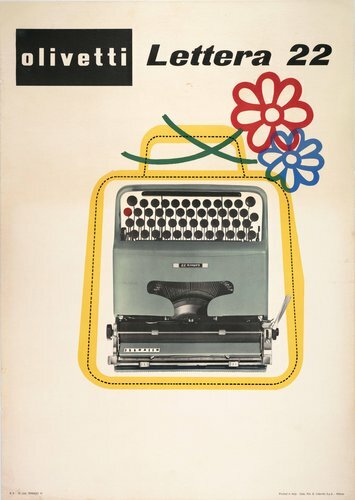 Despite the frequent identification of the typewriter as an obsolete technology that will baffle modern generations, Banuelos sees a resurgence in interest in typewriters, and not just with hipsters who “soullessly appropriate cultural tropes from the past for their own ironic amusement” (thanks to Public Policy Polling for that lovely phrase). Ken Stein is no hipster. He likes to type. 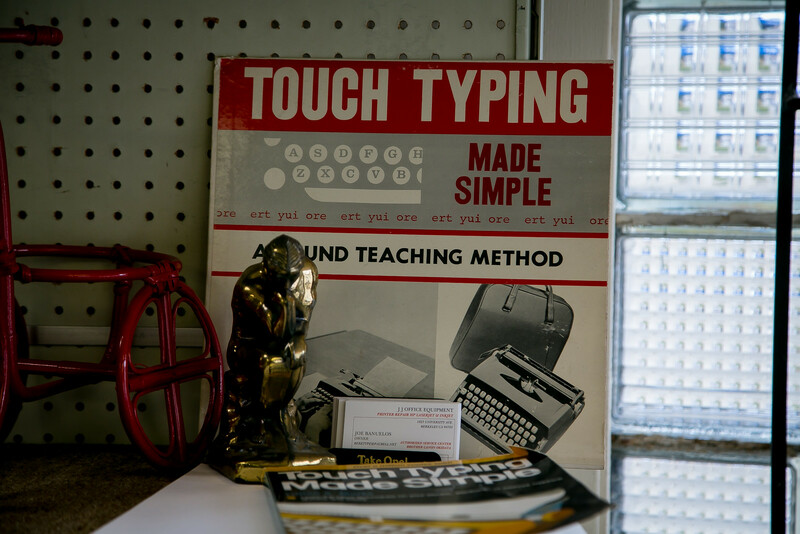 Flashback machine to 1962-1963, learning to type. Mr. Davenport had us put masking tape over the keys. No peaking! 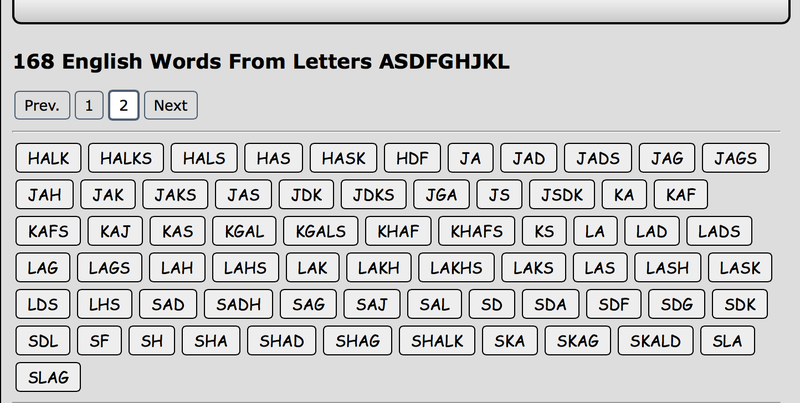 I remember well the early going, learning the home keys plus two – ASDFGHJKL, typing words using only those letters. 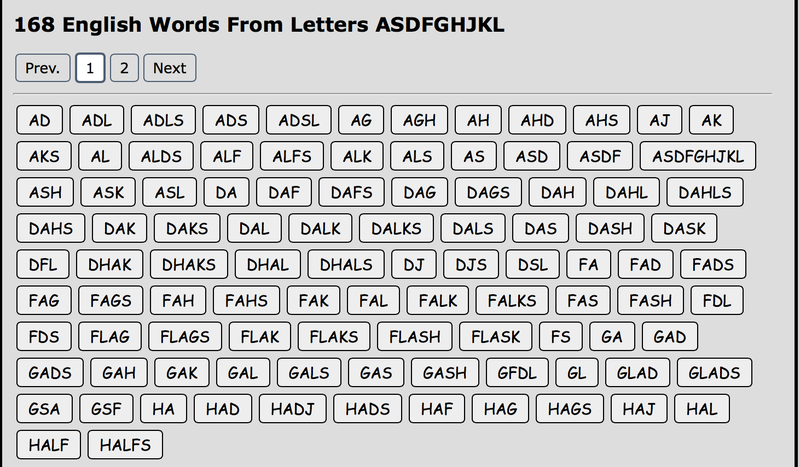 The key layout is known as QWERTY – the top row of letter keys (minus UIOP). 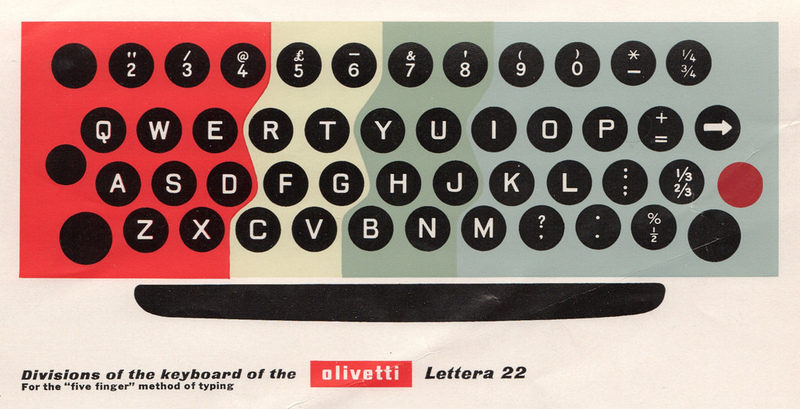 The layout was used in the earliest Sholes & Glidden typewriters in the 1870s and has remained the de facto standard for English-lanague typewriter and computer keyboards. 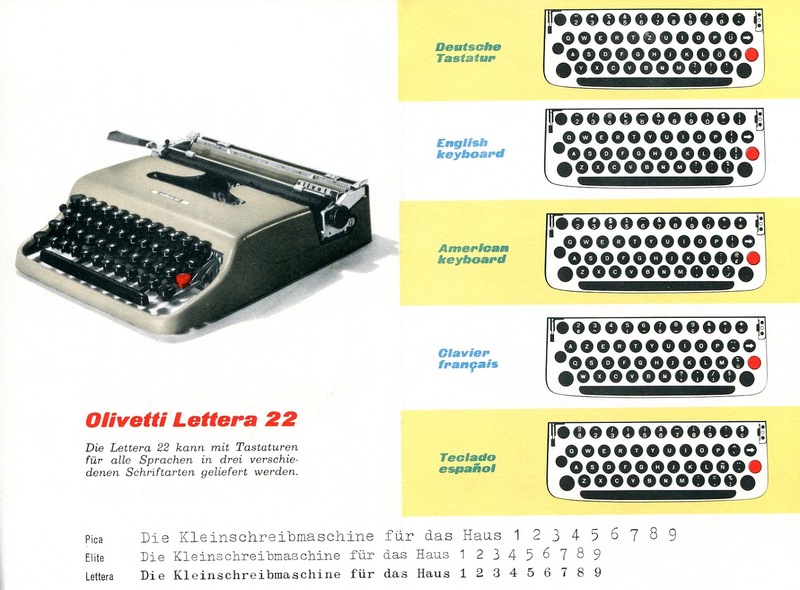 There are European variations – AZERTY in France, QZERTY in Italy, and QWERTZ in Germany. 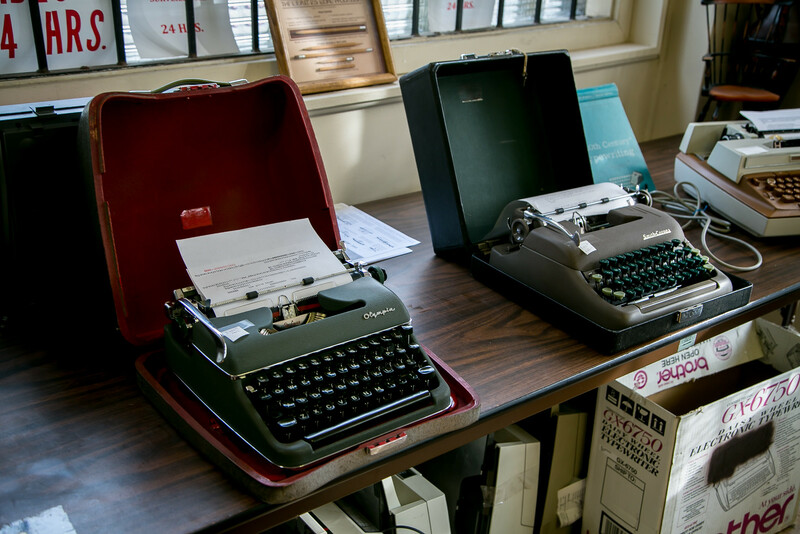 There is joy in Berkeley Typewriter. 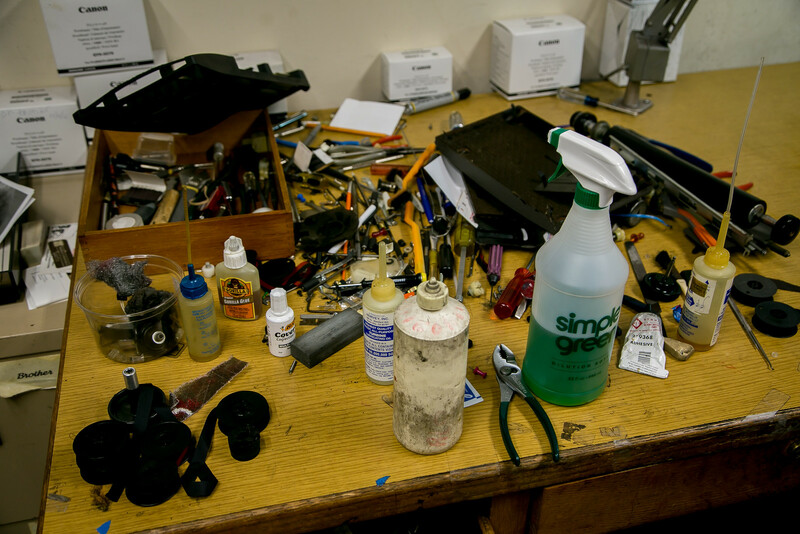 Banuelos is doing what he loves, restoring and repairing anachronistic machines. 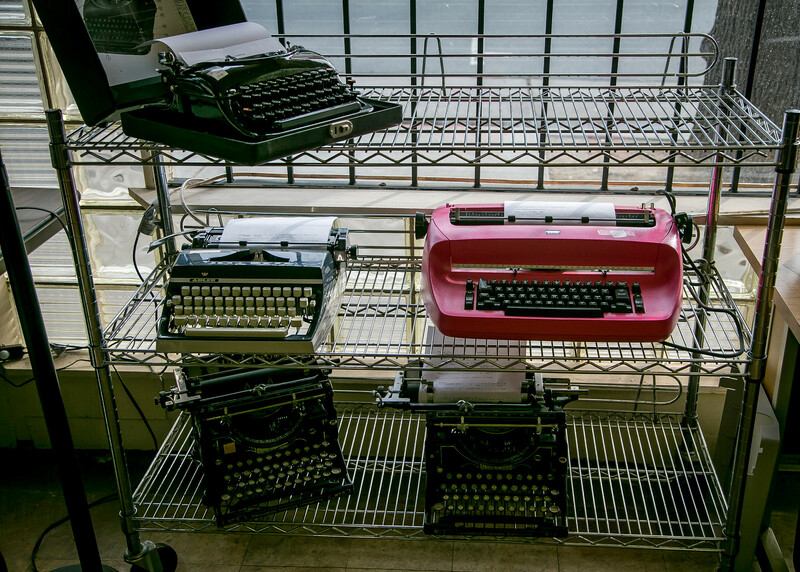 As aesthetic objects, the typewriters rock a solid industrial – and quirky – vibe. I wish wish wish for the store’s survival as University Avenue is morphing into a tragic imitation of Pleasanton. Yes, I can get my geek on about Twain. In college I read everything he wrote that was in publication. My sainted English Professor Robert Regan wrote his dissertation at Cal on Twain. 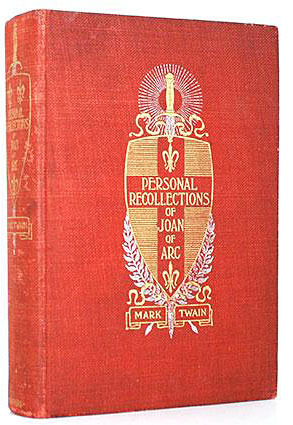 My favorite Twain was Personal Recollections of Joan of Arc. It was originally serialized in Harper’s Magazine. Twain asked that it appear anonymously so that readers would not bring their expectation of Twain as a humorist to their reading. That’s a hard secret to keep and the fact that Twain wrote it of course got out. The book edition published by Harper and Brothers credited Mark Twain. Mark Twain claimed in his autobiography that he was the first writer to present a publisher with a typewritten manuscript, for The Adventures of Tom Sawyer (1876). 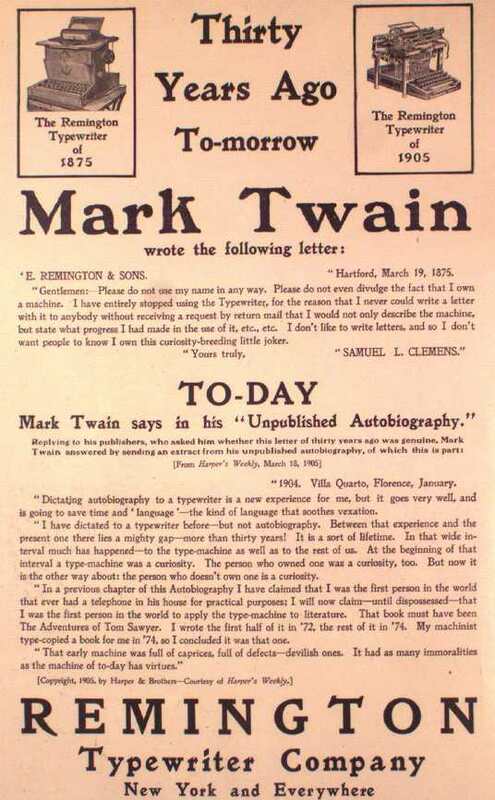 Research showed that Twain’s memory was not specifically good and that the first book he submitted in typed form was Life on the Mississippi (1883). 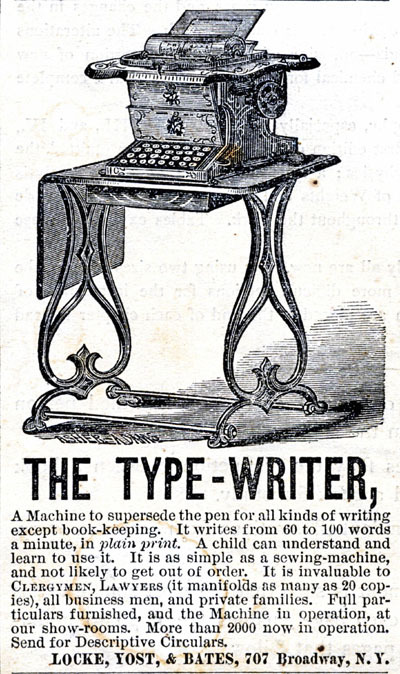 Twain, a go-big-or-go-home man, lost several fortunes investing in typewriter technology. So, my friend, you wanted geeking out and you got it. 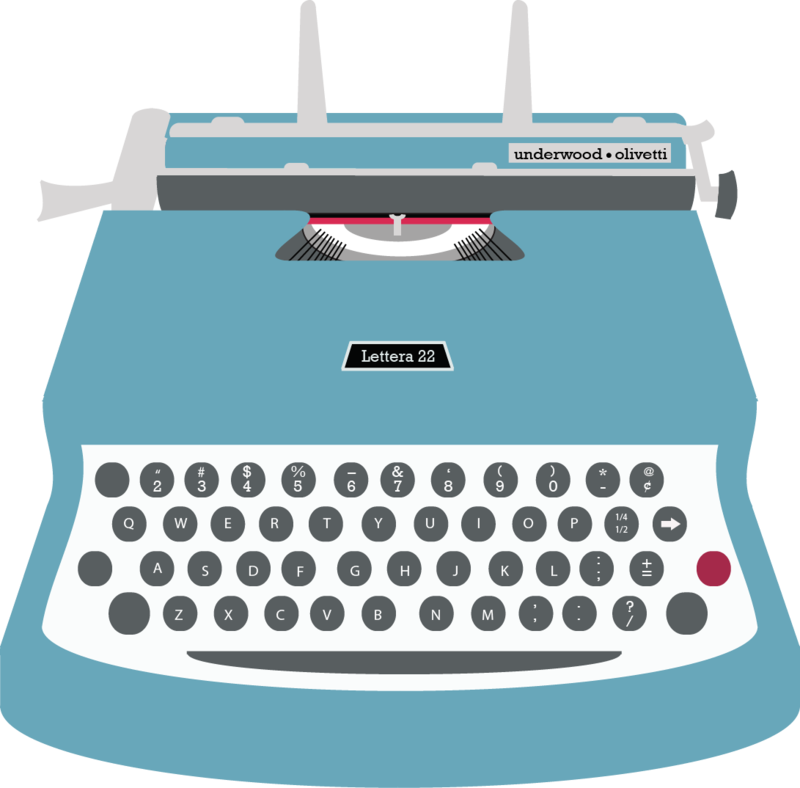 He got back to California Typewriter. 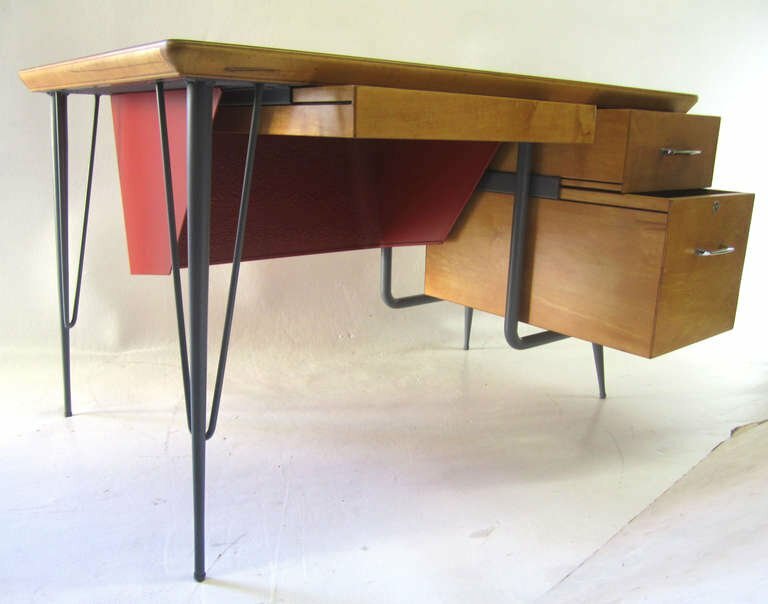 A few weekends ago he stumbled upon a stunning Raymond Loewy desk in a foothills community. 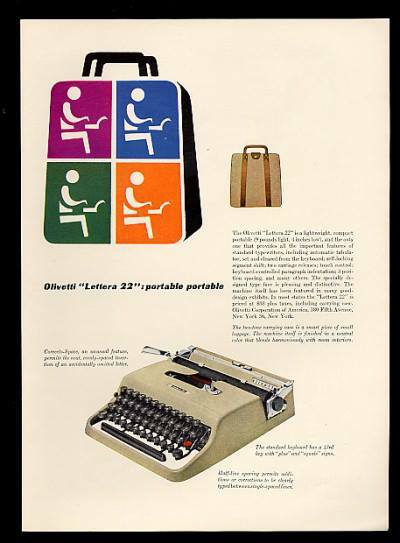 He has decided that a Grants 707 Gullwing electric typewriter would be the perfect addition to the desk. It’s from 1974 which is a mix-and-match on decades, but I see what he has in mind. He will go see Banuelos and ask for his help finding one. 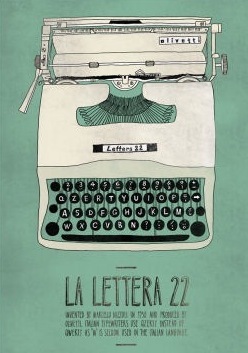 My friend admires the Lettera 22, but now that I have written about it his pride would not let him abandon his dream Gullwing and go for the Lettera. So be it. With that out of the way, what does he think about the post? P.S. My friend’s pride did not prevent him from investing in another design by Marcello NIzzoli. 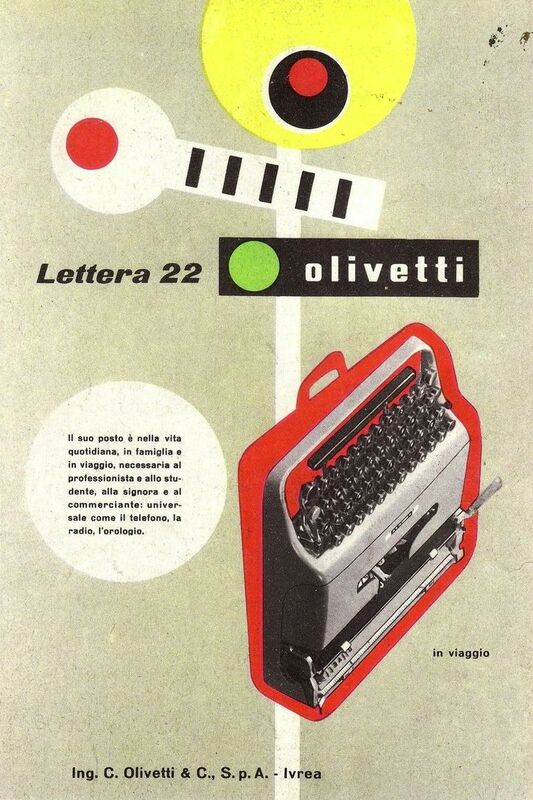 If you were paying attention, you remember that Nizzoli designed the Lettera 22. 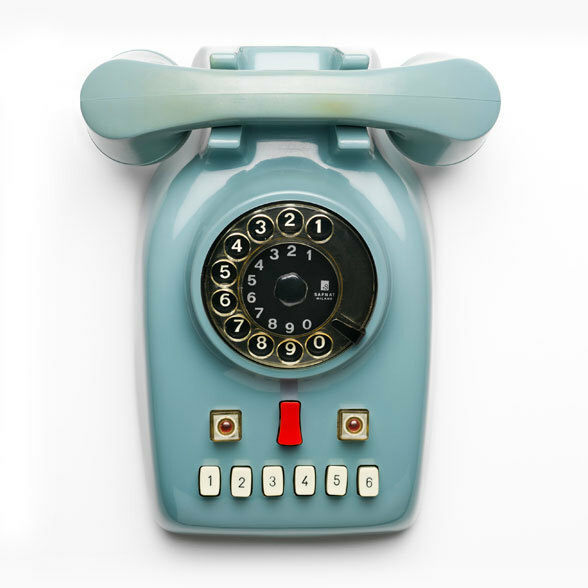 Nizzoli designed this Safnat 2+7 telephone in 1958. One of my friend’s several scouts called him about it yesterday. Talk about serendipity! My friend bought it and it’s on his Loewy desk. Waiting for a Gullwing. I lived in Berkeley from 1975-1990 – then moved north. While living in Berkeley I started a family, got my first real job (nurse) at Alta Bates, never owned a car so I walked everywhere and explored every neighborhood and loved learning about the town. I love your articles. They bring back so may memories of places I remember. Geek out of the highest order! I was born and educated in Berkeley and this was a wonderful window into a town that will always have my heart. Thank you for the amazing photos and graphics, too! 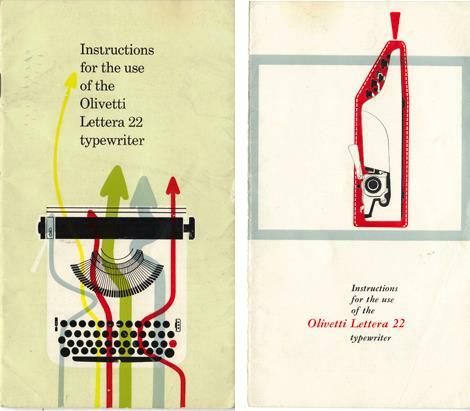 Happily/coincidentally I was just at Joe’s store last week not knowing anything about your post, but did happen to notice that he has a beautifully restored bright red Lettera 22 for sale … as well as lots of other very cool stuff! 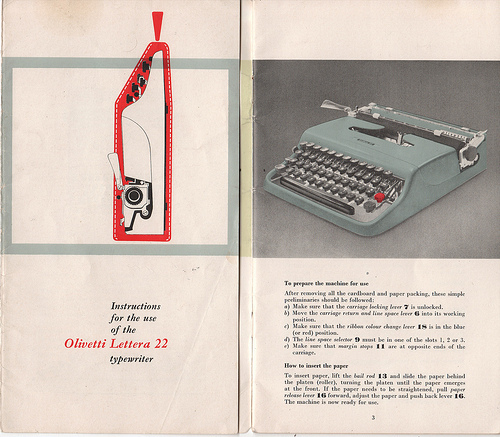 I used to own a bright red Lettera 22!